WebEx, a celebrated web meeting and video conference application that enjoys high popularity, is devoted itself to providing individuals as well as enterprises with the best web meeting and video conference service. By means of it, you can readily hold meetings, conduct negotiations and make deals in an elastic manner without region restriction. However, when you initiate a WebEx meeting, a notable thing is to take a recording to keep a complete record for the whole process in case some details are missed at a later time. Now you might wonder how to record without hassle. If so, go ahead to learn how to record WebEx meeting by referring to following guides. Given that WebEx meeting is of tremendous importance for companies, choosing a professional tool to record it is not a sloppy thing as well. It should offer you one-stop solution to capture WebEx meeting videos with related audio in perfect synchronization. Other than that, both system audio and microphone sound can be grabbed in flexible way. Undoubtedly, it will be much better if you can skip any needless parts, like discussion or dispute section during the meeting. Or according to the meeting content, cut your recording to different segments. Alright, it sounds great. Good news is that here Joyoshare Screen Recorder is such an outstanding tool. This excellent software can really have high performance in what it does. To match your expectation, it can record any onscreen activity in any format, like Twitch stream, YouTube audio, class lecture, Google Hangouts, Skype call, Facebook chat, Yahoo messenger, GoToMeeting webinar, online radio, streaming music, etc. in few easy clicks. 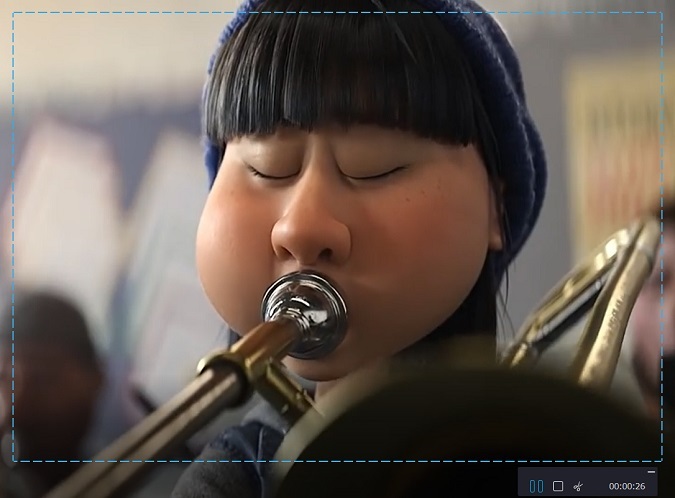 Thanks to its broad compatibility, you can save your recording to a wide range of popular formats and portable devices as you please, like ASF, MOV, M4V, MP4, WMV, MKV, AVI, FLV, F4V, SWF, MP3, AAC, WAV, FLAC, M4A, M4B, etc. or iPhone, Android, Xbox 360, PSP, smart TV, Windows phone, Blackberry Bold, etc. Now let's move our pace to see how to record WebEx meeting with audio in high quality. 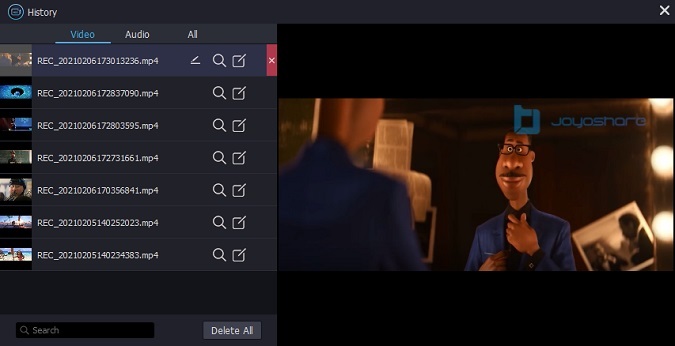 Simply launch Joyoshare Screen Recorder for Windows on your computer and go forward to opt for video recording mode next to the "REC" red button. You ought to open WebEx and select a capturing area firstly by clicking the "+" icon to set a pop-up adjustable window or directly choosing a preset fixed ratio from drop-down menu. Next go to press the gear icon at the lower right corner to bring up all accessible options. To record WebEx meeting with audio, you should turn on system audio & microphone sound. Then continue to decide storage location, output format, required shortcuts, cursor effects, etc. If you'd like to specify configuration info, hit the "Format" panel to customize resolution, codec, channel, bit rate, etc. in the way you like. Click the "REC" button in Joyoshare When you get started to have a meeting. There is 3 seconds countdown provided to re-adjust previous selected capturing area, after which your recording task will be executed officially. 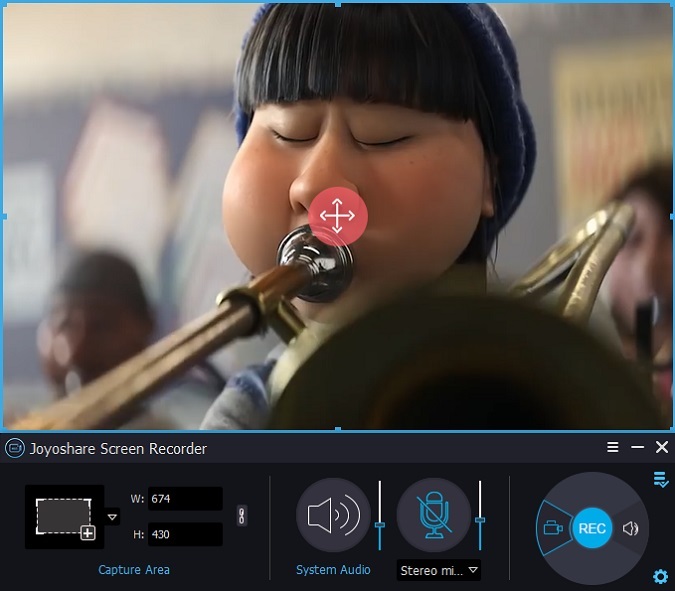 At this step, you can hit the "Pause" button to skip any unwanted sections, click the "scissors" icon to cut the ongoing recording or take snapshots as per actual needs. A history window will be shown in your right until you end the recording process. With it, you can preview your captured meeting, change file name, hit "search" icon to browse local recording, etc. As is often the case, not everyone is willing to download third-party program on computer. It doesn't matter as well. You can directly record WebEx meeting locally. Nevertheless, you should keep in mind that only host and an alternate host have right to record a WebEx meeting. Meanwhile, only the presenter's voice can be grabbed in the recording. Namely, you are supposed to bear the risk of important info loss. Step 1: Start a WebEx meeting. Step 2: Navigate to Meeting > Recorder Settings > Record on this Computer. 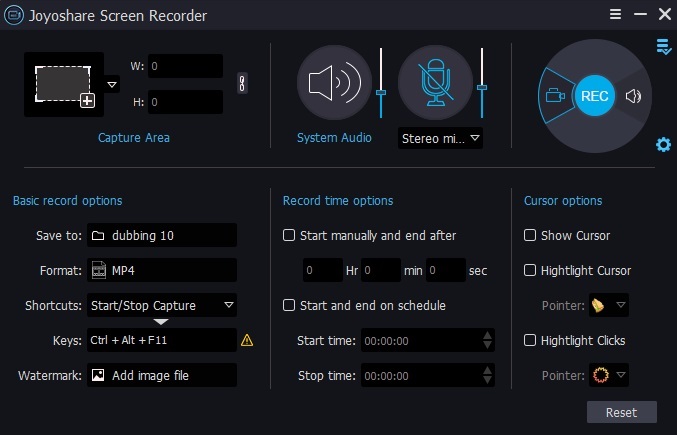 Step 3: Enable "Record audio from this computer" if this option is not ready. 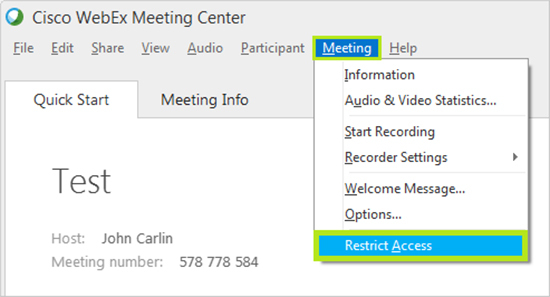 Step 4: Go back to the main WebEx meeting interface and click "Record" button to record meeting in WebEx. Step 5: Once it is finished, choose storage location and hit "Save" option to export it to local folder.